Premier League Reading Stars (PLRS) is a 10-week literacy intervention designed to be delivered in schools, libraries and football clubs. The aim is to stimulate literacy engagement in children aged 9-13 years who love football but lack motivation in reading. PLRS evaluation has shown that the programme can have a significant impact on attainment and attitude. The National Literacy Trust and the Premier League have worked in partnership since 2003 to create this evidence-based programme. PLRS is currently funded by the Premier League Charitable Fund and the Welsh Government for PLRS Cymru. "Without it I honestly believe that we would have continually struggled to engage the children in reading, and certainly wouldn't have made it as fun… it really has made a massive difference in the way that the boys view reading now." 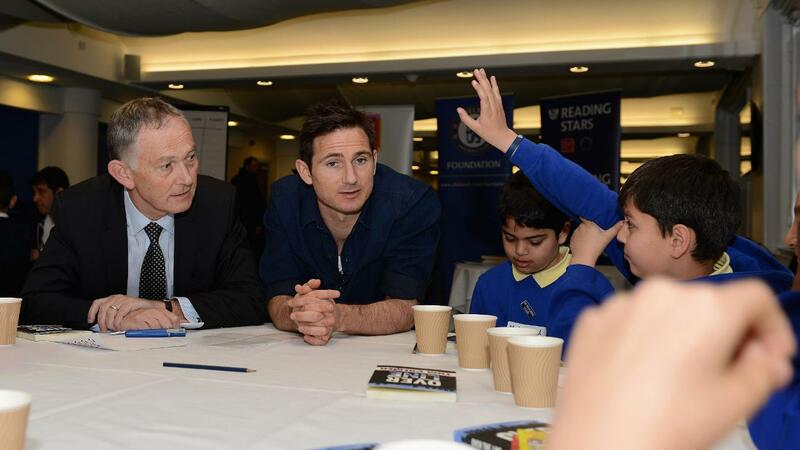 Premier League Reading Stars builds on evidence that football can influence the way young people view reading, particularly among boys and those on free school meals. Full reports for PLRS are available on the National Literacy Trust website, where you can also read case studies. Who can take part in PLRS? Both primary and secondary schools can use the programme with pupils in Year 5-8 who are struggling to reach the expected levels of literacy and who are also passionate about football. Libraries and football clubs can also deliver the programme via their Saturday session, holiday clubs and or as an after school activity. If you are interested in taking part in PLRS please visit the NLT website to find out more. Access to www.extra-time.org, the PLRS website with literacy-based, football-themed fun challenges, films and quizzes to use at school or home. You can try a sample challenge here. Resources for 20 pupils, including a teacher's manual, children’s activity books, certificates, stickers and posters, Premier League branded pencils, rulers and pens. An invitation for your group to take part in a choice of exciting regional author events at Premier League football clubs, art venues and libraries across England and Wales as well as a national PLRS Competition. Yes. This year, the National Literacy Trust is a leading partner of the 'Read On. Get On' Campaign, which highlights the crucial role of parents, particularly fathers in supporting their young children to read. Parents and other family members can support children's literacy by reading selected PLRS books at home with their children and logging on to www.extra-time.org at home. We also recommend visiting www.wordsforlife.org.uk to find book recommendations, activities and tips. Marian Keen-Downs, Manager of the programme at the National Literacy Trust, said. "Using football as a hook to get children to enjoy reading can make a real difference to their progress, helping them to succeed at school and gain vital skills for the future."